All these are for sale for €2 each + shipping. I will ship worldwide! 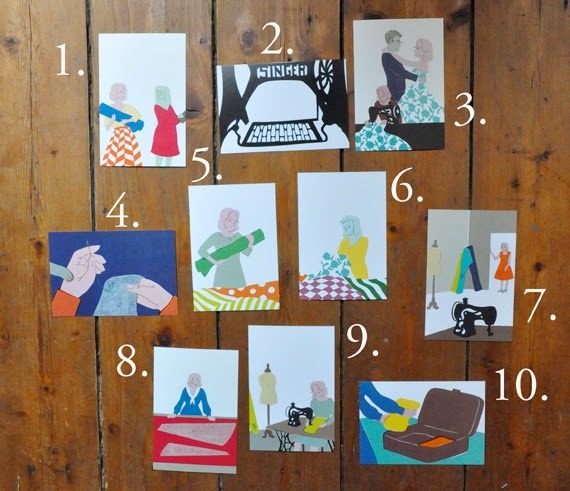 If you want one or more cards just send me an e-mail (annekecaramin@hotmail.com) with the numbers from this picture and your address, and I'll send a Paypal invoice. PS: I'm doing tons of guestblogging all of a sudden! Pop over to Hanne's blog to see my tricks for making your fashion sketches look awesome (and read all her posts in this drawing series because they are super inspirational) and have a look over at Antwerpen Streetstyle to see what I've been doing for them!